Corporate storyteller, influencer, strategist, people developer, and change agent, Walter has 20 years of experience in brand development, content marketing, PR, social media marketing, strategic planning, industry development, and organisational management. As the Chief Content Strategist of Cooler Insights, a bespoke content marketing, PR and social influence consultancy, Walter is an avid business and marketing blogger. He is also the lead trainer for Equinet Academy's Social Media and Content Marketing courses. 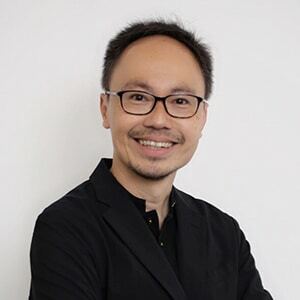 Appointed by SPH to be a judge for the Singapore Blog Awards for 6 years (2010-2015), he has spoken and trained at multiple workshops and conferences on social media marketing, public relations, citizen engagement and branding. As the Chief Content Strategist of Cooler Insights, a bespoke content marketing, PR and social influence consultancy, Walter is an avid business and marketing blogger. He is also the lead trainer for Equinet Academy’s Social Media and Content Marketing courses. Take away actionable digital marketing strategies and get certified. Receive free digital marketing guides, course discounts, exclusive invites to industry events, and more. Equinet Academy respects your privacy and will not misuse or sell your personal information. Enrol at Equinet Academy where meaningful learning and actual transfer of Digital Marketing knowledge takes place.